Design strategies for new construction and renovations in the residential market are evolving at an accelerated pace and for good reason. All eyes are on bettering ease of living while protecting the planet we live on at the same time. 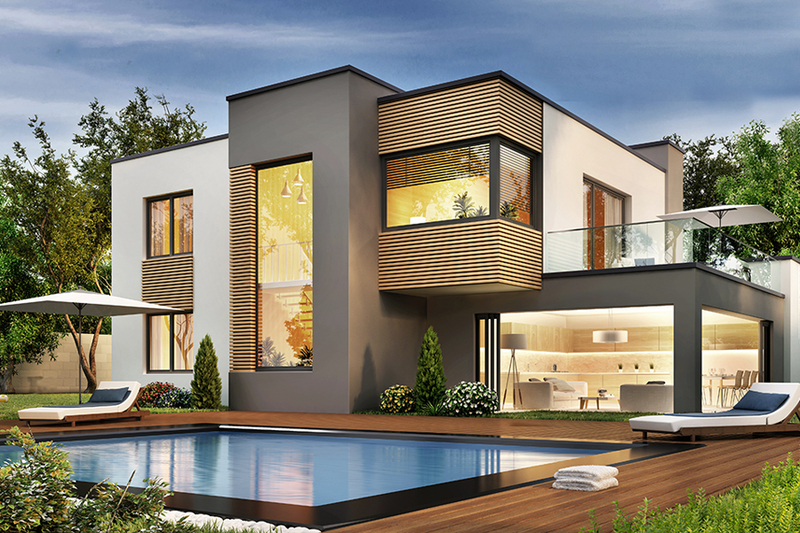 Smart-products and fully automated homes are at the forefront of our minds when it comes to designing our homes. With innovative smart-technology so readily available, what are the five most compelling reasons to go automated with your next custom build, remodel or existing home purchase? “Turn off the lights!” Isn’t that what grandma always said? And by the time the early 2000’s rolled around the catchphrase was, “Save the Polar Bears.” With an automated home, the last thing you need to think of is running about the house turning off lights and other electronics before leaving. Most smart-homes are outfitted with central hubs, where wires terminate in a hidden space that you never have to think about. They don’t need separate switches or outlets, therefore eliminating wall acne and so-called vampiric energy from being sucked while electronics are not in use. Companies like Lutron and Sonance offer technologies that interface with smart-phone apps, voice command services, and wall-mount panels to control everything from lighting to stereo equipment. Shutting everything down is as easy as tapping the phone screen or talking to Alexa. Being an eco-friendly advocate can be as simple as covering those floor to ceiling windows that provide your striking scenic view. The climate of a home is less likely to fluctuate when the windows can’t influence heat and cold exchange. With voice or touch command, shades effortlessly glide across the windows providing not only privacy and lighting control, but also an energy saving barrier between the interior climate of the home, and the elements outside. Automated control of your home’s interior climate is a great way to conserve energy. Smart-thermostats allow you to schedule the settings for the hours of your day. As the morning gets underway, the temperature adjusts for comfort without you ever having to touch the controls. At the time of the day when everyone is out of the house, the air conditioner or heating will go into away mode, and slowly readjust before you arrive back home. Your smart-home is comfortable when you are there, and eco-savvy when you aren’t. Companies that build automated structures are quickly getting on the non-toxic, green bandwagon when it comes to materials. “Garbett and Vivint…a production home-builder in Salt Lake City specializes in highly sustainable residences.” Their product, “…the Zero House, is modeled after the ‘passive house’ or ‘net zero’ style of home construction….using tight insulation, renewable energy sources, and strategic design, these houses can keep carbon impact to a minimum while virtually eliminating utility bills.” Many automated structures also use renewable energy sources to have a smooth, constant supply of power. Solar and battery power provide the bulk of energy, while the residences depend on electricity from the grid far less frequently. This strategy protects against outages during storms and reduces monthly expenses. With automation now the norm for the housing market, it has become easier to gather data and compile research on the outcomes of smart-home living. The verdict is in. It reduces the burden on residential energy consumption, helps to provide consistent energy, and simplifies your unique lifestyle. WELCOME TO THE CONNECTED FRONTIER. LET US HELP YOU TAKE CONTROL.